Recorded Live at various Venues and Dates, supposedly in1973. Files: 13.:: Size: 477.10 MB (flac). Personnel: Rod Stewart Vocals / Kennie Jones Drums / Ron Wood Guitar / Ian McLagan Organ Piano / Ron Lane Bass. Notes: Abum name "That's All You Need" - Label: OH BOY - Silver Bootleg. A trademark of Disc Deluxe Sarl. Luxembourg. Catalogue number 1-9035. As with most bootlegs the CD information can be misleading with mispellings, and other duff info etc. Sometimes tracks can be from different gigs, so you never know. 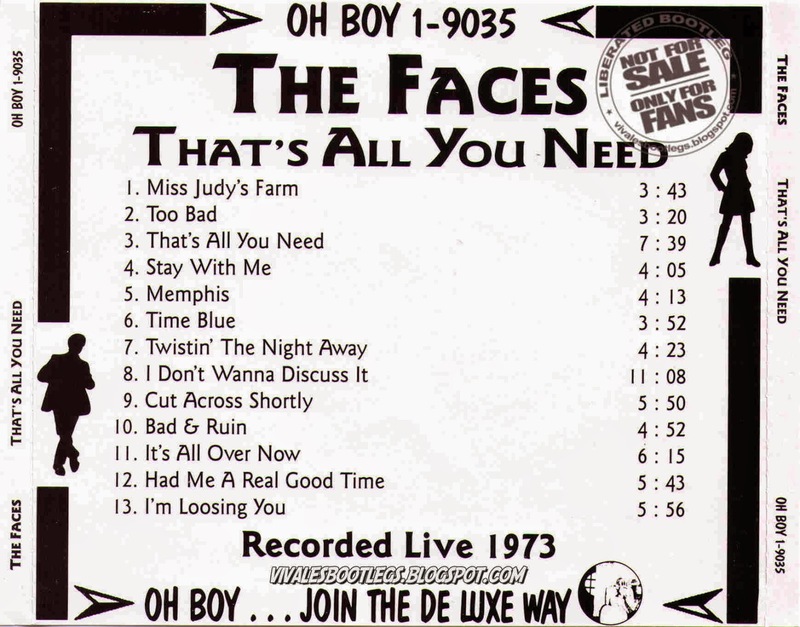 Regardless of the afore mentioned, this is a great recording of a great Faces performance. Supposedly recorded in 1973. Live concert recording in what sounds to be a small theatre. My guess is that this is one their BBC "In Concert" appearances. If so, then probably taken from a BBC Transcription vinyl that were used in those days. (You can hear the odd quiet crackle) - but you can't be sure. 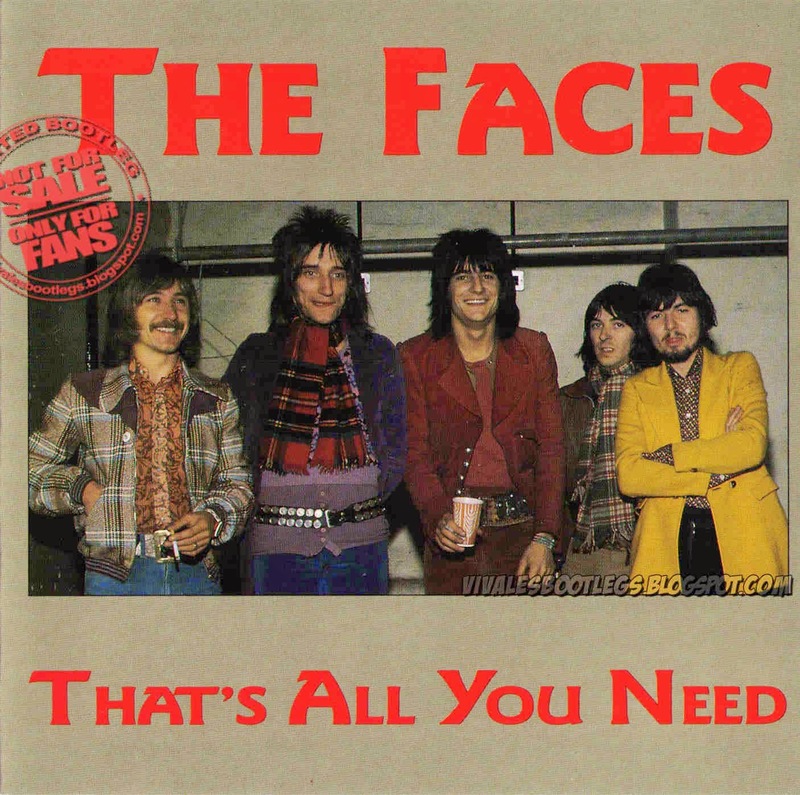 Seven Faces tracks and 6 Rod Stewart solo efforts...<taken from original info file>.